To connect with each other, between students and staff members and to enhance their overall well-being, GUtech has launched a series of Tuesday sports outdoors and indoors competitions. After having held table tennis and badminton competitions recently, a total of 96 students and staff participated in the Football 6aside competition and 14 participated in the Basketball 3on3 indoor games last week. Therefore, opening up the brand new grass football field in front of the GUtech campus building. 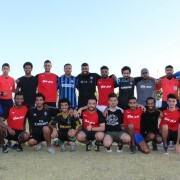 Two matches were held at the same time and the competition was sponsored by Strabag Oman. In addition two referees from Oman Football Association (OFA) participated in the games. “In times when everybody is connected via social media, physical sports activities are important to improve the overall well-being and to connect with each other. While playing students and staff have to communicate and engage with each other on the field,” said Gunhild Pfaff, manager of the Sports office at GUtech. “For playing 6aside you have to be quick and fast,” said Ghassan Al Shaaili, Foundation Year student in Engineering who is a member of the GUtech futsal team. He does sports every day along with family members or friends. 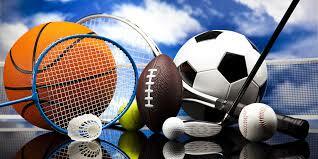 I go to the gym in the mornings and throughout the day I like to play badminton, table tennis, or beach volleyball. Sports make a person fitter and healthier,” he said while adding, that he has to carefully manage the time for sports and studies. “Outside the university I like to play football with friends on the beach or on an artificial grass field,” said Amar Dahir, 1st semester Process Engineering at GUtech. He and his team were successful during the matches. To continue throughout summer indoor competition for Women and men like futsal, table tennis and dancing are planned. Ammar Al Aghbari, Said Al Ofi and Tim Reisdorf claimed the win of the tournament over Ferdinand Marcelo, Omai Albalushi, and Chaudhry Taimoor Niaz. Third place was earned by Ali Mansuri’s team with Baha Al Kahlawi and Mohammed Mansuri.